An old letter that matters, especially on a day when we pause to remember a former president. The letter from George H.W. Bush was stuck in the middle of a stack of stuff in a drawer up in our bedroom, mixed in among personal notes from Tom Daschle and Tim Johnson and John Thune. Those letters matter to me. I pull some of them out from time to time, including those from Daschle, Johnson and Thune expressing sympathy after the death of my mother, to remember a thing or two, and a person or two. I hadn’t read the Bush letter for some time. But I went looking for it after watching television coverage of the funeral services for our 41st president at the National Cathedral in Washington, D.C. on Wednesday. It was an internationally significant observation that kept me close to the big-screen TV in the living room for hours. I feel like a wealthy man at times like that. One of the luxuries of being retired from full-time news reporting is you can settle in with the remote in hand, a pot of tea on the end table and a sleeping dog at your feet and consume the coverage, and its meaning, when we observe the passing of a national luminary. It’s a luxury, in fact, in the best way I define luxury, meaning there is time to pause and consider things that matter, like the funeral of a man I admired, and a letter he wrote me long ago. I’ve long been a fan of George H.W. Bush. And while I never got to interview him, I did exchange letters with him back in the fall of 1995, after he had hunted pheasants at Thunderstik Lodge in Chamberlain. 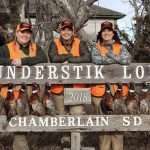 The former president wasn’t in South Dakota just for the pheasant hunt. He was here to speak at Augustana University in Sioux Falls, as the second speaker in the school’s Boe Forum on Public Affairs. The first speaker earlier that year wasn’t bad, either: Colin Powell. And Powell was followed in 1996 by Mikkail Gorbachev, creating a speakers trifecta that I can’t imagine any school in South Dakota has ever topped. All three men were relevant during a time of extraordinary happenings in the world. Being an outdoor-oriented guy, Bush figured that when in South Dakota he should do as South Dakotans do. So he went pheasant hunting. 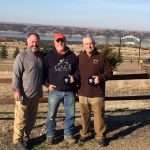 And no place offers a better shot at a rising rooster than Thundestik Lodge, where the Woster family holds its annual reunion each summer, the off season for hunting lodges. The lodge sits up high in the Missouri River breaks on the east side of the river south of Chamberlain. If you’re passing by on Interstate 90, you can see the shape of the main lodge building off in the distance if you look south at about the same time you pass Al’s Oasis. The wrap-around deck of the lodge, located on a promontory above cedar-studded breaks, offers one of those breath-taking river views that sticks with a guy. It’s a good place to show off the state to a former president. And Bush was impressed. I heard about his visit after the fact. He wasn’t there long. About four hours, I think. And I can’t remember how I made contact with his staff. But I inquired on behalf of the Sioux Falls Argus Leader and was informed that while I had missed the hunt, if I sent a letter — a letter, not an email — Bush would be happy to respond, with a letter back. I thought that was old-school charming. So I typed up some questions and sent them off by snail mail to the address provided. And it was a while — weeks, I think — before I heard back. The typed letter was on the George Bush letterhead and was dated Dec. 23, 1995. My questions focused on hunting and pheasants and his stop at Thunkerstik but also involved fishing, and guns, and the NRA. He said much the same to me, in greater detail, in his letter in response to an NRA question. Bush said he was all for accountability in law enforcement, and for holding federal agents to high standards. I loved the fact that he felt strongly that his action was right, but also acknowledged that “a lot of good people” held another opinion. On pheasants, Bush said the Thunderstik hunt was his first ever for the wily ringneck. 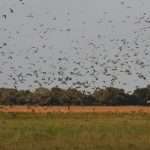 But he said he hunted quail a lot, and was “an avid dove and duck hunter” who occasionally hunted geese. Then there were gun questions. 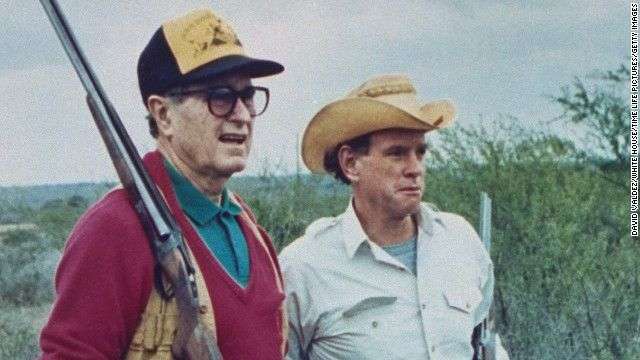 Bush said he owned two Ruger 12 gauges, plus “one other 12,” one Weatherby 20-gauge over-under, two English-made 20 gauge side-by-side doubles, a 20-gauge pump, a “couple of excellent rifles,” three pistols and a pellet gun. But for his Thundestik hunt he said he used “a beautiful 16-gauge over-and-under” that was handmade by Roger Green, a gunsmith in Wyoming. Bush said he “got my three-bird limit” and clearly thought that was plenty. Not all big shots would be happy with that. I’m glad he was. And Bush rightly praised the quality of the hunt at Thunderstik. Not all of which he made. The hook-and-line sport provided plenty of great hours, too, Bush wrote. Bush said he had more recently in life added fly fishing for salmon to his favorite outdoor pursuits. When he wrote that letter just two days before Christmas in 1995, he had plenty of fishing and hunting left to do. And quite a few Christmases left, too. The guy made it to 94, after all, and lived a life worthy of a Jon Meacham biography. Which Meacham actually wrote, of course. It’s called Destiny and Power: The American Odyssey of George Herbert Walker Bush. And Meacham didn’t just write the book on Bush. He helped put a period on his life, as the first to walk forward at the National Cathedral with a eulogy during the funeral. Meacham — who also eulogized Barbara Bush at her funeral last spring — began the H.W. eulogy with the story of Bush as a 20-year-old bomber pilot in World War II having his plane shot up and bailing out over the ocean, where he was rescued hours later by a U.S. submarine. The experience, Meacham said, would shape the rest of George Herbert Walker Bush’s life, one he spent trying to live up to the family call to public service and the inexplicable gift of survival he received in war, while others around him died. Meacham called Bush “America’s last great soldier statesman, a 20th Century founding father.” Which is not bad, for a one-term president. Meacham and other speakers praised Bush for his world leadership after the splintering of the Soviet Union and fall of the Berlin Wall and in unifying Germany without alienating Russian leaders or adding to the vulnerability of Mikkail Gorbachev. He also oversaw the successful Persian Gulf War in 1991, his popularity soaring. Bush signed an upgrade in essential environmental regulations as well as the Americans with Disabilities Act. And he found compromise with Congress in passing government spending constraints, along with additional tax revenues, which meant going back on his public and, I thought, unwise “read my lips” pledge during the 1988 campaign. He also began a financial recovery that would blossom fully during the first presidential term of Bill Clinton, who defeated Bush in 1992, in part because of the argument that Bush was out of touch with everyday Americans. It was also in part because some in his base resented the added taxes. And, perhaps the biggest factor in Bush’s loss — along with Clinton’s campaign skill — was independent Ross Perot, and the almost 19 percents ofvotes he captured. I cried along with George W. there. And I’ll bet many other Americans did, too. Speakers at the funeral and on cable and network news praised Bush for his civility, his natural inclination toward bipartisanship and his kind approach to others, regardless of station in life. He wasn’t perfect, of course, and those imperfections went beyond the weak “short game” in golf, mediocrity on the dance floor and an aversion to vegetables mentioned by his son. George H.W. Bush was slow to respond to the AIDs crisis, a case of poor judgment that critics argued cost many lives. And his campaign against Michael Dukakis in 1988 benefitted from the nasty inclinations of strategist Lee Atwater and the racially divisive Willie Horton attack ad. That ad was enough to get me to switch my plans to vote for Bush and vote for Dukakis instead, even though I much preferred Bush as a candidate. Such failings were far worse than a bad short game or taking three steps in a two-step dance-floor routine. But I think they were also aberrations in the life of a man who listened and learned and evolved in positive ways throughout his adult life, and acted honorably most of the time. He came to represent the kind of political demeanor that we see far too little of at the national level these days. So I was both inspired and saddened as I luxuriated in my semi-retired freedom before the TV set. And I was warmed by the recollections of a snail-mail encounter with the 41st president, when I remembered the letter and the former president’s quick trip to Thunderstik. Which brings me to the high point in my praise for Bush, South Dakota style: I’d take a guy like that hunting anytime. 1st Annual ROOSTER ROUND UP at Thunderstik Lodge! 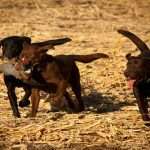 Duck Hunting, Dove Hunting Argentina, Moose Hunting Canada, Caribou Hunting Manitoba, Canada fishing, Alaska fishing, Belize fly fishing, Pheasant Hunting South Dakota, Whitetail Hunting, Elk Hunting New Mexico, Red Stag Hunting Argentina and Dove Hunting Argentina.